There are still units available at One Bloor, currently construction at the south-west corner of Yonge Street and Bloor Street. Developer Great Gulf Homes is in the final year of completing a 75 storey tower (789 suites) rising dramatically above Canada’s most iconic intersection. 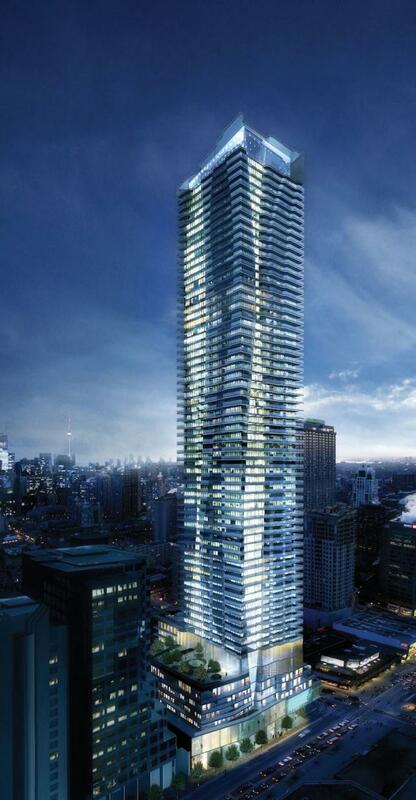 One Bloor is designed by Hariri Pontarini Architects, with interiors by Cecconi Simone. Remaining units are starting at $549,900. Occupancy is scheduled for 2015.